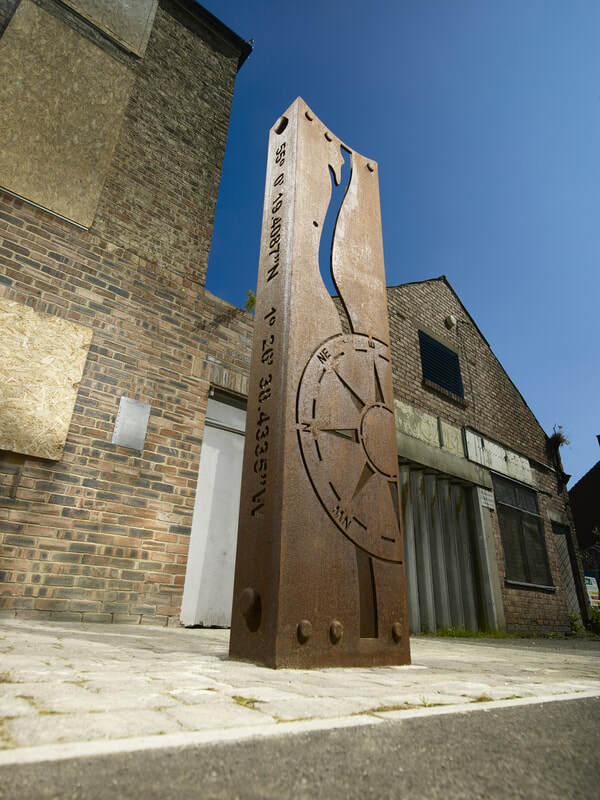 'Shifting Tides' is made from Corten, a high Copper content Steel, which has a rusted appearance, ideal for the harsh environment of North Shields Fish Quay, where it is situated. 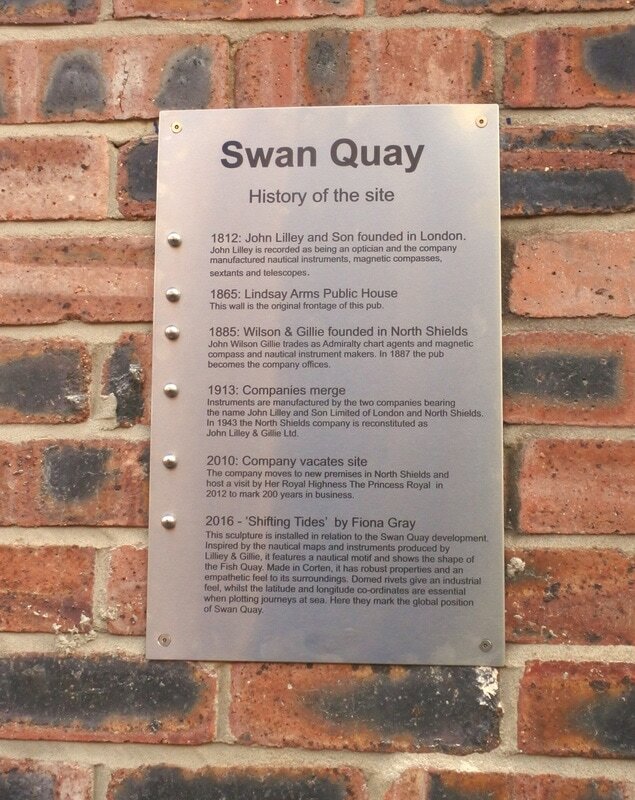 The name of the site 'Swan Quay' is a new housing development built on a very interesting site. 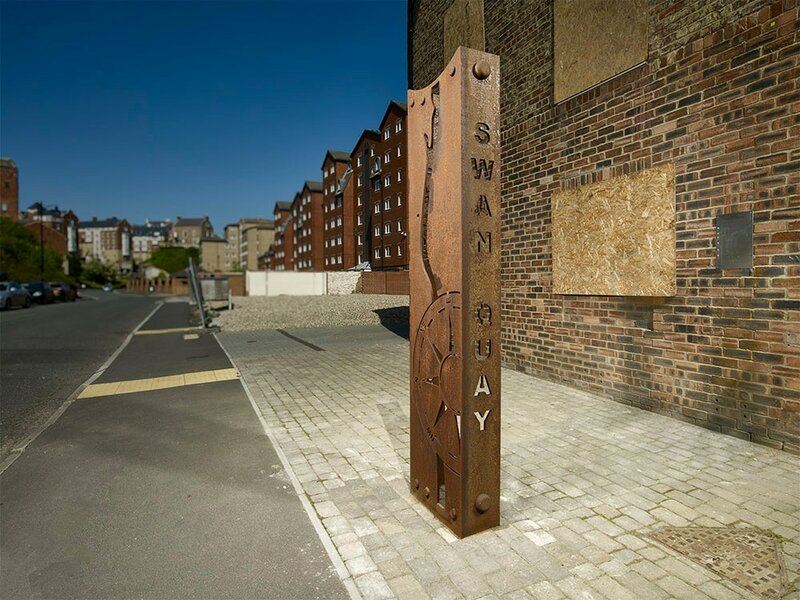 The sculpture depicts the latitude & longitude position of the site down one side, with a section of the Fish Quay shown on the front with the position of Swan Quay marked with an 'O'. 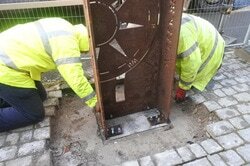 A nautical compass shows the direction of North. 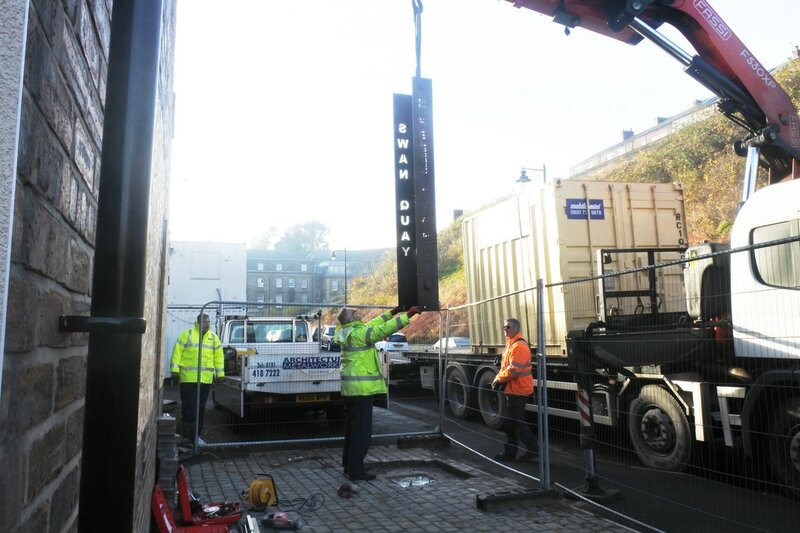 There is a Stainless Steel plaque on the building behind with information of what the site used to be.